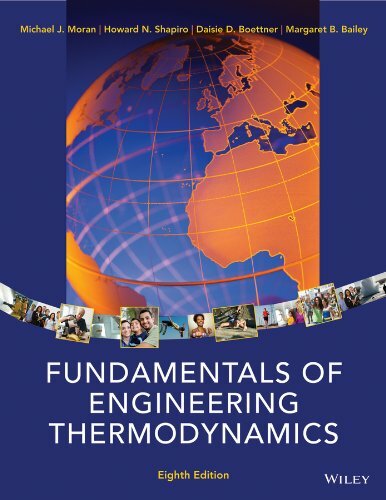 1118412931 – Integrated throughout the text are real-world applications that emphasize the relevance of thermodynamics principles to some of the most critical problems and issues of today, including a wealth of coverage of topics related to energy and the environment, biomedical/bioengineering, and emerging technologies. Shapiro, Boettner and Bailey continues its tradition of setting the standard for teaching students how to be effective problem solvers. Now in its eighth edition, this market-leading text emphasizes the authors collective teaching expertise as well as the signature methodologies that have taught entire generations of engineers worldwide.